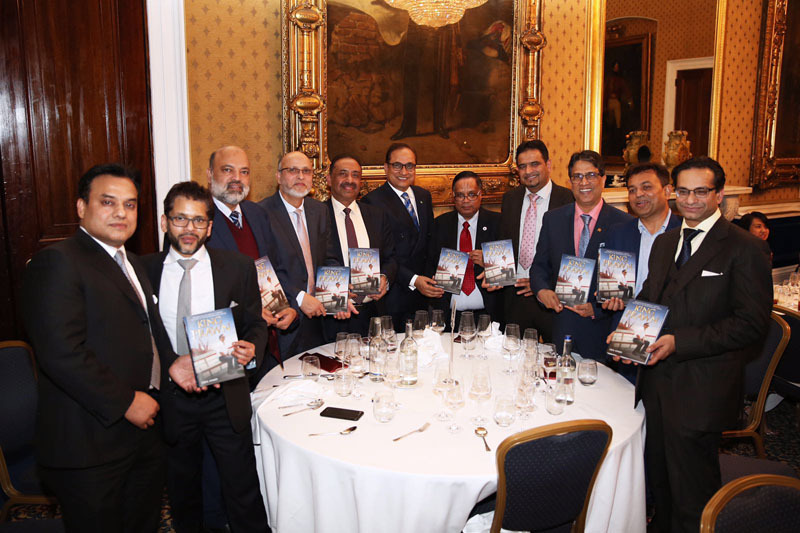 Iqbal Ahmed OBE, pictured at his autobiography book launch at IOD Pall Mall on 22nd February 2017. 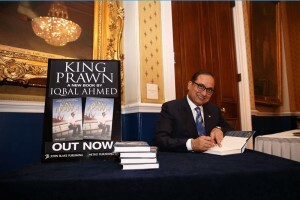 The book, ‘King Prawn’, offers a fascinating insight into one of the UK’s leading British Bangladeshi entrepreneurs and how he achieved his dream. 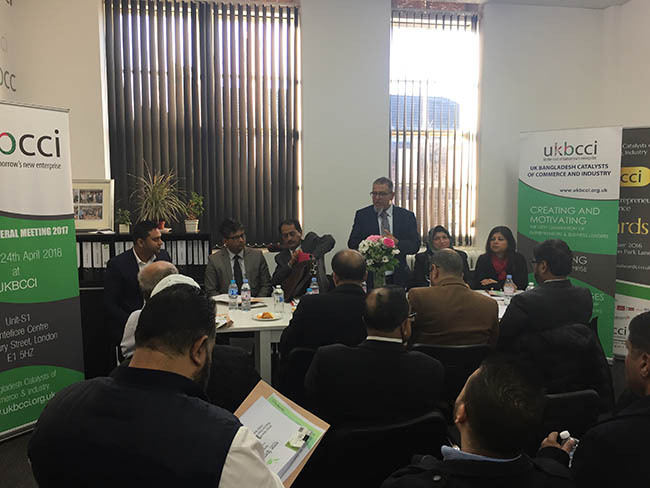 It also offers inspiration and advice for those wishing to walk a similar path to success. 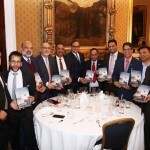 Attending the launch were various dignitaries and leading business people including: Lord Desai, John Blake, Lord Sheikh and Lady Sheikh Salma Ahmed, Lord Bilamoria, Baroness Pola Uddin, HE Bangladesh High Commissioner Nazmul Quanine, David Mowat MP, Former British High Commissioners, Dr David Cater, Stephen Evan CMG OBE and Community leaders. 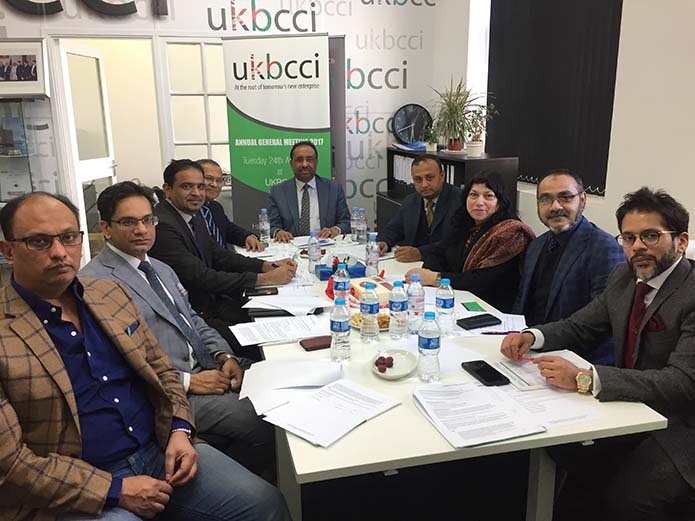 The other photo shows Mr Ahmed in his capacity as UKBCCI Chairman, along with Bajloor Rashid MBE-UKBCCI President, and other UKBCCI Directors, who all attended the launch. 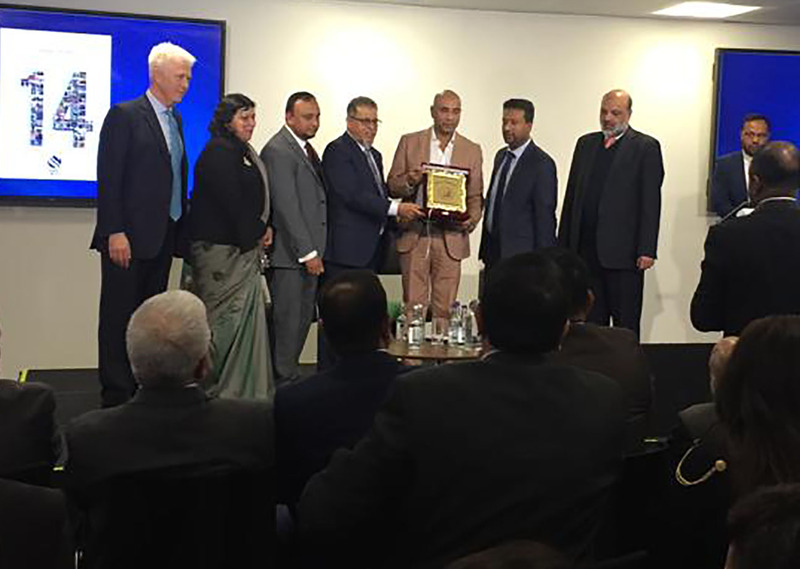 A proud moment for Mr Ahmed’s family and friends who were there to witness the event. 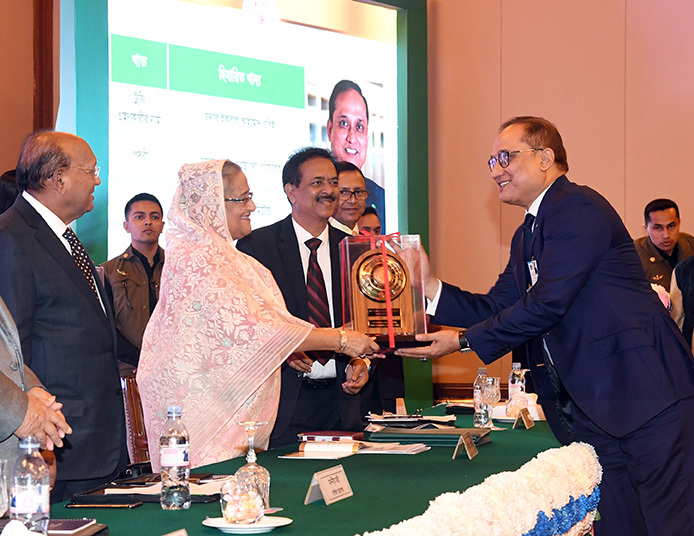 Photos courtesy of Rita Payne.